Bring your family and friends and relax at our Winery in the peaceful setting of the scenic Missouri River Bluff country! Bourbon Barrel Aged Still Cider! We are pleased to release our new Bourbon Barrel Aged Still Cider! This apple wine was made from a blend of apples from the 2018 harvest at Weston Orchard -- just several miles down the road from our Winery! The wine was aged in freshly-emptied Kentucky Bourbon Barrels from Buffalo Trace Distillery. Subtle notes of Bourbon with full apple cider flavors and a fantastic long, lingering finish. This cider pairs remarkably well with smoked meats and cheeses! The distillery offers tours 7 days a week for $10 which includes a tasting. Tours run every 30 minutes. Pre-registration online suggested but walk-ins accepted. Explore over 160 years of history and experience Real Missouri Bourbon being made at the Holladay Distillery, home of McCormick Distilling, Co. Originally founded by "Stagecoach King" Benjamin Holladay and his brother, Major David Holladay, it is now the oldest distillery west of the Mississippi located on its original site.Please call 816-640-3056 with any questions or visit www.holladaydistillery.com. Up to 50 vendors including: Many homespun crafters, wood signs, glass beaded jewelry, candles, soaps and lotions, children and baby items, wooden crosses, home décor, Thirty One, Scentsy, Jordan Essentials, Young Living Oils, Magnabilities, Plexus, Usborne Books, Perfectly Posh, Norwex, Snap Jewelry, Paparazzi, Younique, In a Pickle, Tastefully Simple, and many more! 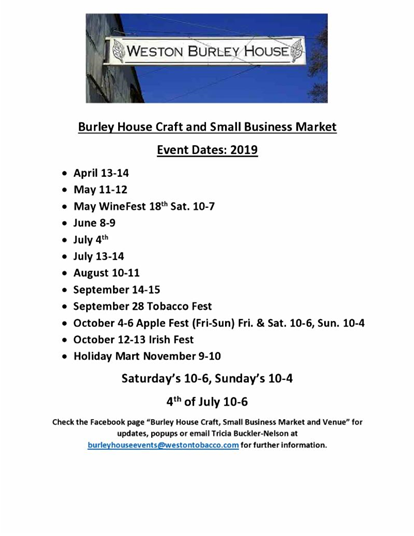 For more information about becoming a vendor contact Tricia Buckler at burleyhouseevents@westontobacco.com or check out our Facebook page at Burley House Market and Venue. Sandwiches * Homemade Ice Cream *Draft Beer *Wine and cheese tastings. Family Fun Every Sunday. Doors open at 5pm. Sunday shows are from 5-7pm. National and regional acts are announced throughout the year.Sunday show prices are $12 per person with children 12 and under free. Concessions available. Like our Cline's Opry Facebook page for all upcoming events. craft brewers, live music, and great food! our vineyard for eggs containing not only candies that pair perfectly with our wines, but for free glasses of wine, coupons for big discounts off our wine, and other great prizes including a mini-keg of BEER! Each person will also get a souvenir wine glass to take home, as well as get a tasting of 5 of the wines off our list. Reservations and pre-payment are required, so purchase your tickets today before we are completely sold out! Cost: $10/person or FREE for members of our Creek Club. Celebrate Earth Day with Missouri’s first “green” winery in! Come out and do our Eco Tour Scavenger Hunt to see our sustainability in action. We'll also be serving up our special “Sustainable Sangria” made with misfit fruit for $5.99 per glass. If you drive an electric or hybrid car, show us your car key and you’ll get two FREE wine tastings and be entered to win a fabulous gift basket. The Tesla Club of Kansas City will also have their cars on display Saturday afternoon. Come on out as we stay open late for our 90’s Night Party. Mojo Saint will be rocking out lots of great 90’s tunes and we'll be selling wine and beer by the glass and bottle. Cost to attend is FREE. No reservations are required. Bring out your favorite meat, and we’ll provide the fire, utensils and seasonings for you to grill it to perfection! We’ll also have an assortment our award-winning wines, beer, and non-alcoholic beverages available, as well as our picnic pails with cheese, salamis and fresh baked bread. Cost to attend is FREE. Come out to enjoy each of these unique blends before they're gone! 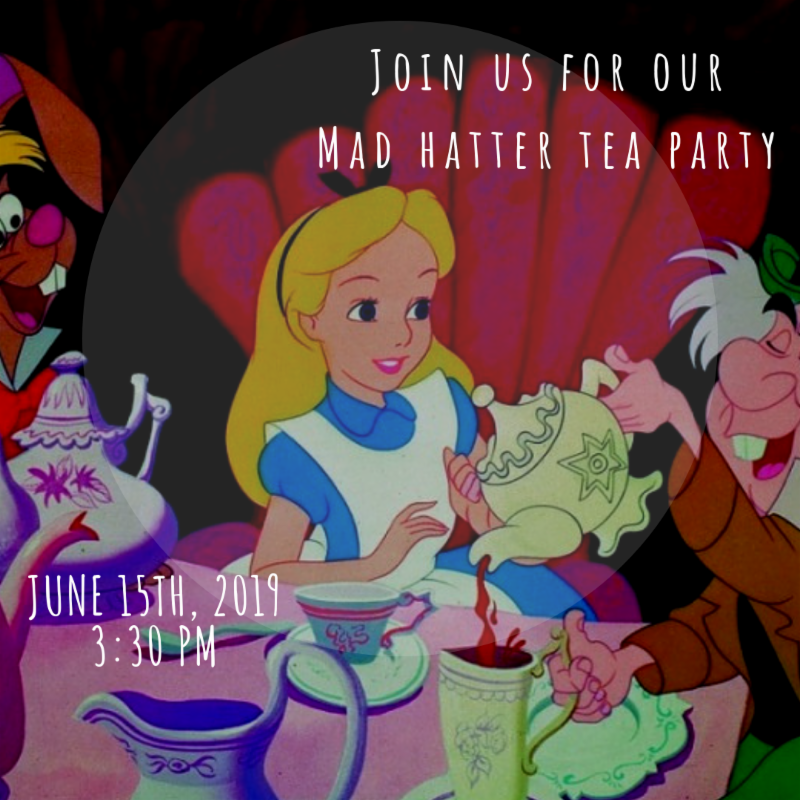 We’ll be selling wine and beer by the glass and bottle, and we’ll also have picnic pails with warm, fresh bread and delectable cheeses and salamis available for purchase. Our Annual Plant Sale is April 26 -28 at the Farm! 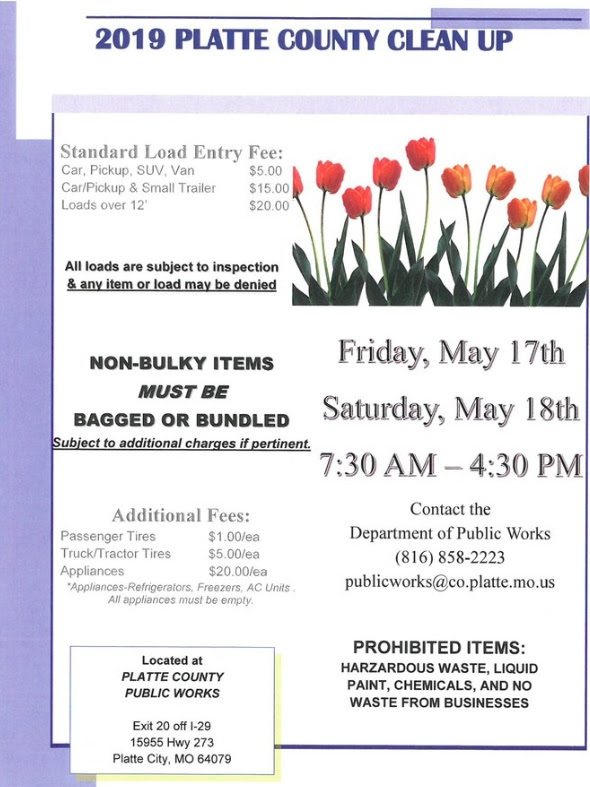 ﻿Copyright © 2019 Platte County CVB, All rights reserved. work. Stroll down our quaint streets, enjoy shopping and visiting with the artists. Have lunch at one of our fantastic restaurants, stop in for wine or beer tastings, or spend the night at one of our cozy accommodations. 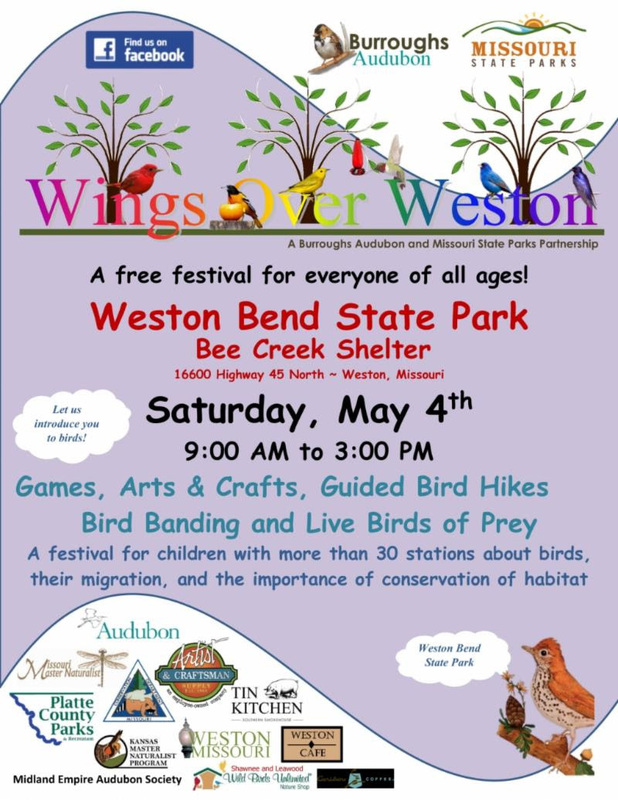 Enjoy the day and help us celebrate the arts in Weston! Join us this Friday evening for fantastic live music with acoustic guitarist/vocalist Scott Duncan! Music will be in the auditorium if it's too cold and windy outside! More information about Scott and his music here. We're pleased to have Jason Riley join us again this Saturday at the Winery. Classic, Eclectic, Acoustic and Electric -- Jason always puts on a great show! It might be a little cool outside so if it is we'll be in the cozy auditorium. Learn more about Jason and his music here. Join us for a free, family-friendly Spring Celebration with the Easter Bunny. Saturday, April 13 10am - 1pm at Zona Rosa Town Square (right in front of Bravo). Bring the kids to hug the Easter Bunny (free to snap photos on your camera or phone! 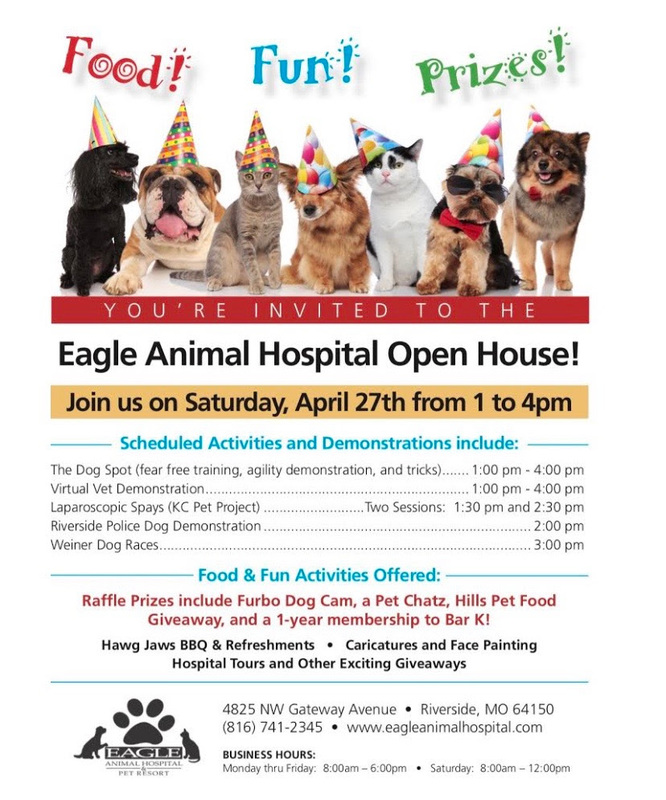 ), live music performed by Heather's Art Garden, kids crafts, enter to win prizes and so much more! The Soroptimists will have a Suitcase Collection inside The Grove at Zona Rosa (8640 N. Dixson Ave). Bring new and gently used suitcases, duffle bags, tote bags and backpacks for county foster care programs, Synergy Services, Ozanam, The Good Samaritan Project and other local agencies. Personal Care items like unopened shampoo, conditioner, deodorant and lotion also accepted. Spring has sprung at Jowler Creek! 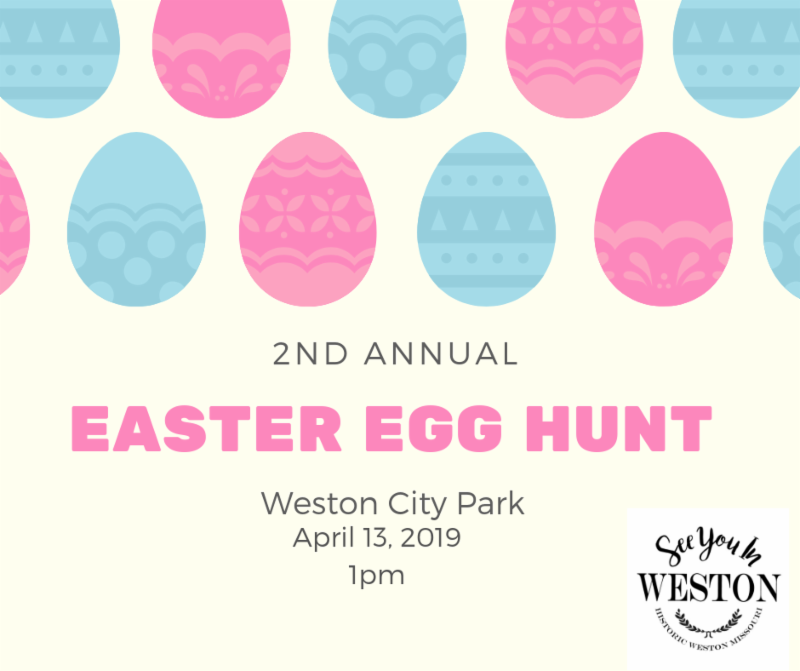 **Spaces still available in the 11 am hunts on 4/13, 4/14 and 4/20; all others are sold out** Have fun being a kid again at our Adult-Only Easter Egg Hunt! You can scour our vineyard for eggs containing not only candies that pair perfectly with our wines, but for free glasses of wine, coupons for big discounts off our wine, and other great prizes including a mini-keg of BEER! Each person will also get a souvenir wine glass to take home, as well as get a tasting of 5 of the wines off our list. Reservations and pre-payment are required, so purchase your tickets today before we are completely sold out! Cost: $10/person or FREE for members of our Creek Club. 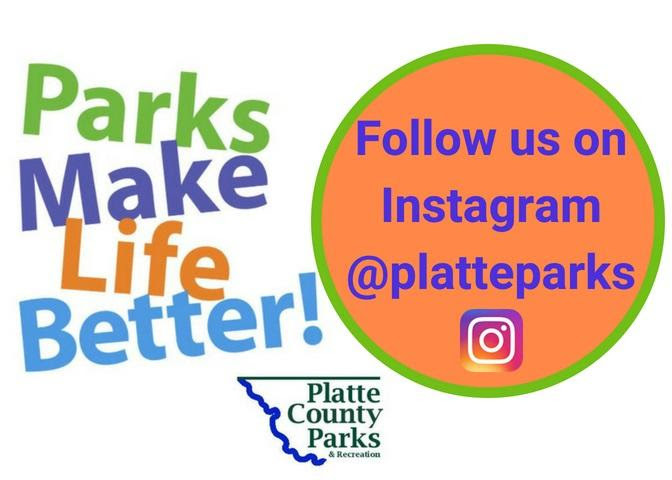 Copyright © 2019 Platte County CVB, All rights reserved. The flood waters have receded and the highways are open again (at least Highway 45 -- Highway 59 to Atchison remains closed and our Tasting Room Assistants have a long way around to get here!). Also the water main break has been taken care of and our water has been turned back on! We will be open this weekend (Saturday & Sunday only) with special hours to accommodate our Tasting Room Assistants' long drive! We hope you can join us for some great wine, great food and great music! Please join us in welcoming back Jeff and Beaux to the Winery! These guys have been performing at our Winery almost from the beginning, and they are always entertaining! If the weather doesn't cooperate Jeff and Beaux will perform in the Winery auditorium. Inside or out, it will be great! Come out this Saturday (Rain or Shine) and enjoy a signature Cotton Candy Cocktail made with our Muskrato de Missouri wine, delicious mini strawberry shortcakes, and play games like redneck golf, washers, yard Yahtzee and Giant Jenga! This event is FREE to attend and no reservations are required. Just come out between 11 am and 6 pm to join the fun! Up to 30+ Craft , small business, and flea market vendors. For more information about becoming a vendor contact Tricia Buckler at burleyhouseevents@westontobacco.com or check out our Facebook page at Burley House Market and Venue. March 2019 Music & Events! Due to the flooding on the Missouri River we recommend calling to check our scheduled entertainment for Friday and Saturday. The Winery is on relatively high ground and we do not expect water here, but it will be difficult to get to the Winery if you don't know the back roads! Thank you, thank you, thank you to all who came out to our Missouri Flood Recovery Campaign last weekend, and to all who donated online! Because of your efforts (and some rounding up by our owners Jason Gerke and Colleen Gerke) we were able to present Second Harvest Community Food Bank with a check for $1,500 earlier today. Although our Easter KEG Hunt isn't until April 13th, 14th & 20th we're more than half-way sold out of tickets! You can scour our vineyard for eggs containing not only candies that pair perfectly with our wines, but for free glasses of wine, coupons for big discounts off our wine, and other great prizes including a mini-keg of BEER! Each person will also get a souvenir wine glass to take home, as well as get a tasting of 5 of the wines off our list. Cost: $10/person or FREE if you sign up for our Creek Club. If you're wanting to attend we recommend booking your tickets ASAP! Get ready to break the internet with all the “likes” you’ll get when people see your selfie with our baby bunnies, chicks, and ducks! After you get your photo, taste through our lineup of award-winning wines or take a stroll on our self-guided eco tour to see our sustainability in action for yourself! Our cafe will be closed thru February. This will give us time to test our new menu items and prepare to roll out our new experience in March! Our Westwood Market will open every Wednesday, 10 to 4. We will continue to welcome customers on days we are not officialy open - a knock on the door or a phone call in advance is all it takes for us to let you in! These changes support the expansion of arts programming for our Farmers. We can't wait to unveil our new Margaret Nerman Art Studio! Be on the lookout for hidden SHAMROCKS and POTS OF GOLD! Find a SHAMROCK and go to the shop written on the back for a discount or free gift! Find a POT OF GOLD and take it to the Chamber Office to receive a $25 Gift Certificate redeemable at any Weston merchant (one per person please). Found a SHAMROCK you don't want to use? Please hide it again for someone else to find. There is NO prize for the most found and they are only redeemable on March 9th. Due to the flooding on the Missouri River we have decided to cancel our scheduled entertainment for Friday and Saturday, and to close the Winery on Friday, Saturday and Sunday. Highway 59 to Atchison has already been closed (as of 12:00 on March 21st) and based on the forecast river levels we suspect Highway 45 will eventually be closed as well. The Winery is on relatively high ground and we do not expect water here, but it will be difficult to get to the Winery if you don't know the back roads! The water levels are forecast to recede quickly so we hope to re-open early next week. Get mind and body ready for Spring at KC Yoga Center! Learn how to go deeper into yoga poses or try the two-part Yoga + Weigh loss workshops in March. uBreakiFix specializes in electronics repairs of all types! Whether you need Apple iPhone Repair, Samsung Galaxy Repair, Google Pixel Repair, iPad Repair, or Computer Repair, they can help. Now through the end of March, get 10% off repairs. Present offer to redeem. Families in our Northwest Missouri communities have been devastated by the rapidly rising flood waters along the Missouri River and its tributaries this week. We need to help our neighbors. This weekend (Friday, Saturday and Sunday) we'll be donating 100% of our winetasting proceeds to flood victims through the Second Harvest Community Food Bank disaster relief campaign. Come in during our regular business hours and taste all 9 of our award winning wines for just $7 and keep the logo wine glass; or taste 5 wines for just $5 and keep the glass. And 100% of your tasting fee will go directly to flood relief. Want to help even more? For every extra $5 you donate, you'll receive a raffle ticket to be entered into a drawing to win a 12-month, single-bottle membership in the Jowler Creek Wine Club. If you can't make it out this weekend, you can purchase raffle tickets online. We'll draw a winner this Sunday night - check our Facebook page to see who wins! Join us this Saturday, March 23 for our Corks & Canvas Class. Class cost is $40 in advance, and $50 at the door that evening. Our lovely instructor will be Paige. Cost includes class instruction, canvas, painting supplies, and light snacks. Discounts will be offered on wine purchases for this evening. Class will be held in The Cellar-the 1st floor of the winery. No artistic skills are needed. Class size is limited. Must be 21 yrs or older. 2019-2020 SEASON PASSES ARE ON SALE! If you buy now, you can use next year's pass for the remainder of this season. That's 2-3 weeks of bonus time on the slopes. We are now offering payment plans! For just $59 down, you can take advantage of that bonus time on the slopes. Your next payment isn't until May. Come and Celebrate the Last Day of our season with us! Lots of fun to be had with Games, a Pond Skim, Costume Contest, Pot of Gold Hunt, and whatever other shenanigans we can come up with. All events are family friendly. Guests are encouraged to participate in the shenanigans, but certainly don't have to. All trails will be open and accessible. Located at the bottom of Sixshooter. Try your luck at it or just come to watch your friends sink or skim across. Bring a towel....just in case. All participants must have a valid snow pass/lift ticket to participate. Located on the Patio. Show off the weirdest, wildest, and wackiest costumes you've got for a chance to win prizes and adoration of your fellow snow lovers. Costumes must be family friendly. Divisions: Child 12 & under, Adult 13 & Over. We will award 2 winners in each division: "Best Costume" and "Most Creative". Located on the patio and inside the lodge. FREE Snow Cones will be available all day long. Donations accepted. Proceeds benefit Midwest Adaptive Sports. ALL EVENTS ARE TENTATIVELY SCHEDULED AS THEY ARE CONTINGENT ON WEATHER CONDITIONS, SNOW QUANTITY, AND OTHER IMPORTANT FACTORS. WE RECOMMEND ALL GUESTS CHECK OUR WEBSITE AND DAILY SNOW REPORT BEFORE VISITING. We are planning for two sessions, at 1pm and 3pm. This event is free for our Wine Club members and $20/person for non-members. Enjoy an afternoon with our winemakers with samples of five different wines including white wine, Rosé, Port, Mellow Red, and Apple, straight out of the tank and barrel in our production facility across the street from the winery. Light snacks are included for pairing with the wines sampled and 10% off wines purchased that day. The distillery offers tours 7 days a week for $10 which includes a tasting. Tours run every 30 minutes. Pre-registration online suggested but walk-ins accepted. Explore over 160 years of history and experience Real Missouri Bourbon being made at the Holladay Distillery, home of McCormick Distilling, Co. Originally founded by "Stagecoach King" Benjamin Holladay and his brother, Major David Holladay, it is now the oldest distillery west of the Mississippi located on its original site. Please call 816-640-3056 with any questions or visit www.holladaydistillery.com. Reminder that this weekend, is daylight savings. 1 hour less sleep BUT more daylight. Check out these great events, sales and promotions at Zona Rosa. Shop. Eat. Play. That's our motto. Who's your smartest co-worker? Find them and enter the Northland Chamber's Battle of the Brains Trivia Tournament at Improv KC. Great prizes! Snow Creek will be open through March 10th with regular hours of operations. *Exception: Fri 3/8 and Sat 3/9 slopes and tubes close at 10pm. We will re-open Saturday 3/16 and Sunday 3/17 for the last weekend of the season. The BIGGEST & BEST Children's Consignment Event is at Zona Rosa . Over 750 consignors & 80,000 items! The event is located inside The Grove, on the 2nd Floor (in the former Marshall's/Home Good's space). 8640 N. Dixson Ave. This event is FREE and open to the public. SPECTATORS will have their own roped off section available for viewing. This section is for those who are there just to enjoy the event and won't have a lift ticket. All skiers and snowboarders (with a valid lift ticket) can be on the snow and on the sidelines of the park. COLLEGE LATE NIGHTS: Available Friday & Saturday Nights (4pm-Midnight). Gather your friends together for Student Discounts on Skiing, Snowboarding and Snow Tubing! *College discounts require a student Id presented at the time of purchase. Sunday, Feb 24 to March 2. The BIGGEST & BEST Children's Consignment Event is at Zona Rosa starting this Sunday. Over 750 consignors & 80,000 items! The event is located inside The Grove, on the 2nd Floor (in the former Marshall's/Home Good's space). 8640 N. Dixson Ave. This event is FREE and open to the public. Saturday, February 9th 2-4 pm. Cathy Kline Art Gallery is proud to announce the presentation of STUDENT WORKS starting this February with reception Saturday, Feb. 9th 2-4 pm. Guests will find a beautiful array of art for sale by those who have studied at the gallery. • Hot Spiced Wine available all day! The talented Northland Catholic Schools will once again have their artwork on display at Zona Rosa. Stop by the Grove and see it! Nothing says Valentine’s Day like chocolate and wine! For just $15 you can pair five of Jowler Creek’s wines with piece of exquisite dark and milk chocolate, truffles, heart-shaped cake bites and other decadent chocolate desserts designed to pair perfectly for each wine. This cost includes a FREE wine glass to take home as a souvenir. PRESIDENT'S HOLIDAY WEEKEND BRINGS 3 DAYS OF FUN IN THE SUN (HOPEFULLY). SUNDAY AND MONDAY WILL HAVE EXTENDED HOURS FOR SKIING, SNOWBOARDING, AND SNOW TUBING. Join in on the LOCAL LOVE and shop for your Sweetheart or make you 'wish list' on Saturday, February 9th. Sales, specials, sweet treats, and sip n’ shops at your local favorites in downtown Parkville. Check out the Sweethearts and Shopping event on Facebook @MainStreetParkville for details and individual business specials. Nothing says Valentine’s Day like wine, chocolate and live romantic acoustic music! Come out and relax and have a stress-free night. And give your sweetie some sweets as you pair five of Jowler Creek’s wines with piece of exquisite dark and milk chocolate, truffles, heart-shaped cookie and other decadent chocolate desserts designed to pair perfectly for each wine. Cost is just $15, which includes a FREE wine glass to take home as a souvenir. ALL EVENTS ARE TENTATIVELY SCHEDULED AS THEY ARE CONTINGENT ON WEATHER CONDITIONS, SNOW QUANTITY, AND OTHER IMPORTANT FACTORS. WE RECOMMEND ALL GUESTS CHECK OUR WEBSITE AND DAILY SNOW REPORT BEFORE VISITING. ALTHOUGH EVERY PRECAUTION IS TAKEN TO ENSURE ACCURACY, ERRORS OR MISUNDERSTANDING IN PRICE, QUANTITY, AND/OR SPECIFICATIONS MAY OCCUR. WE RESERVE THE RIGHT TO CORRECT SUCH ERRORS WITHOUT NOTICE. Due to inclement weather, the courthouse and county offices will have a delayed start tomorrow morning, 2/7/19, opening at 10am. Live Music with Jeff Lux 1pm-4pm! Hot Spiced Wine Available all day! Join us for the Test Your Ticker Heart Health Fair with our healthcare partner, North Kansas City Hospital! Free screenings include: full lipid profile, health measurements (height, weight, body mass index), blood pressure reading and blood check. This is a FREE event and includes time to speak with a doctor or nurse about your results. Our new 2018 vintage is now ready for you to try! This new, semi-dry white wine is light and easy to drink with hints of citrus, apple and tea leaves. Plus, we'll be offering 15% discounts off half and 20% discounts off full cases of this new wine (Creek Club members save even more - 20% discounts off half and 25% discounts off full cases). Live Music with Jonny Green 1pm-4pm! $6 mugs of Irish Coffee all day! Monthly International Wine Tasting: France vs California Wines 11am-4pm! Note*** If the weather is bad again this weekend and we have to close the winery, we will send out an email and make an announcement on Facebook and our website! Head over to Justice on Sat. Jan 26, 11:30-2:30 for a Fashion Parade. Put on your leg warmers, stock your fanny pack, crimp your hair, and come on out for our 80’s Night Party. Mojo Saint will be rocking out 80’s Tunes live in our indoor barrel room. The first 10 people who arrive in costume will receive a FREE pack of neon glow sticks to make your outfit even more totally awesome! Cost to attend is FREE. Just because it’s winter doesn’t mean there can’t be Sangria! January is the only month we’ll have our special “Winter Wonderland Sparkling Pomegranate and Blood Orange Sangria” available in the tasting room by the glass and carafe. We also offer “Winter Sangria D-I-Y Kits” so you can make a batch to go alongside your Superbowl party. Come out to enjoy it before it’s gone! Due to incoming inclement weather, the Park Board Meeting for Tuesday, January 22, 2019 has been cancelled. Platte Ridge Park is a very popular place to be during the season-March thru October. We are anticipating over 50,000 visitors in 2019. Signing up for our our banner program will promote your business to local and traveling park users. Sign up today for the chance to get your business name out there! First come first serve. Spaces are filling up fast! Run with DMC Meet up time is at 5:30 PM on Wednesday, January 30. Platte County Parks & Rec and Platte City Parks & Rec partnered with Dr. Ann Riggs from Direct Medical Care and her RUN with DMC program. Run, Walk or Bike Club!! Live Music with Dan Bliss 1pm-4pm! Monthly Beer Tasting: American vs European Beers 11am-4pm! Check out the amazing menus at the Zona Rosa Restaurants participating in KC Restaurant week! Multi-course lunch and dinner menus for $15 and $33. Winter is here and it’s time for Jowler Creek’s 11th Annual Tank Tasting Party. At this exclusive event, you'll be able to sample our 2018 vintage of Chambourcin and Norton straight from the tank, as well as aged with several different types of oak. You can taste the difference the oak makes for yourself, and vote for the one you like best! Cost: $12/person (price also includes a taste of 3 wines off the Jowler Creek current wine release list, and a glass to take home) or FREE for Creek Club members. 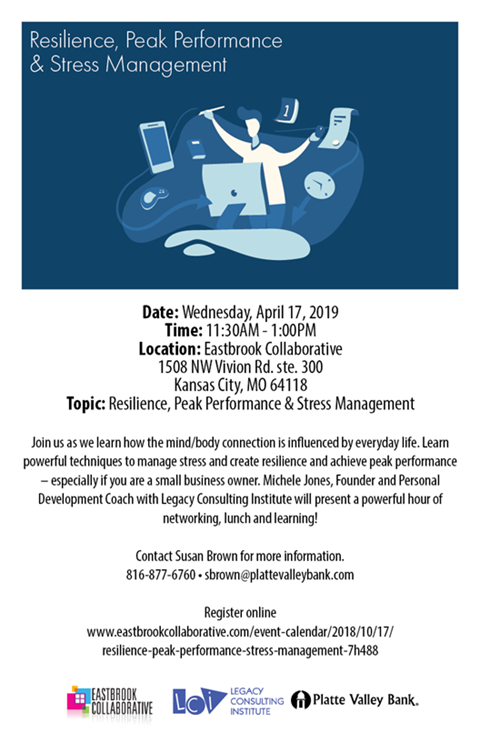 Sign-up for this event today on our Website! All Shops Open Until 7 p.m.
Offer valid 2nd Saturday weekend on in-stock items only. Don't forget to bring your Blue Bag! Enjoy some Live Music with us at Riverwood before the Chiefs play the Colts this Saturday! Once Jason is finished, we will have the game on until 5:00pm when we close. Come out and see us for Riverwood's Monthly Beer Tasting! Try 6 beers for $7 and enjoy your favorite beer after the tasting. Each Month will have a different theme. January's theme is American Beers vs European Beers!